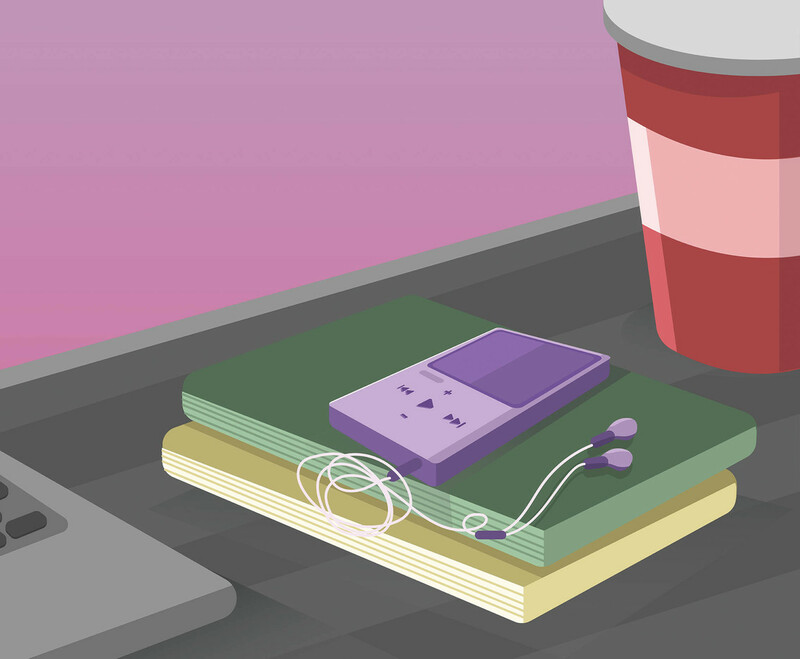 Here is my illustration of a purple mp4 player on a book surrounded by a cup and a laptop. I hope it's useful for your design projects. Enjoy!